Central Security Fort Worth can reprogram security alarm systems from other providers at no cost. Central Security Fort Worth is a FULL SERVICE security alarm monitoring company. If you need security alarm monitoring service look no further. Central Security Fort Worth will program security alarm systems to record and report all events, troubles, and alarms. Central Security has endless options and add on modules for Austin security alarm systems. Standard security alarm materials and programming are provided at no cost with monitoring service agreement. Interactive Cellular Alarm Monitoring Service only $29.99 monthly. Professional video surveillance security camera service by Eagle Eye Networks. FULL SERVICE ON & OFF SITE SUPPORT. Video surveillance with service warranty and support on all equipment, no hidden cost or fees. Full Service Brivo OnAir access control service by Central Security. Brivo OnAir is a cloud managed access and building control system. Central Security can configure Brivo to older outdated access control systems and reuse most devices. Central Security Fort Worth provides the most advanced Full Service security solutions to the best Do It Yourself / Self Service emergency services nationwide. Central Security Fort Worth is currently offering Self Service on the DSC iotega with Alarm.com starting at only $17.99 monthly. Self Service security alarm system kits are preconfigured, tested and delivered by the Central Security team. 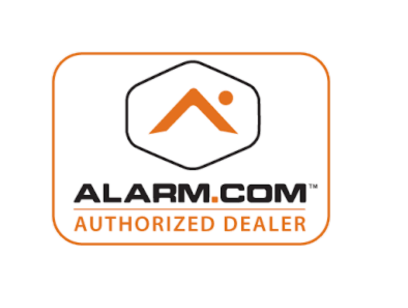 Central Security is a proud partner of Alarm.com. Alarm.com integrates with Z-Wave devices for automation and/or control of lights, locks, thermostats, garage doors, doorbells and much more. Alarm.com also integrates with Nest, Lutron, Lift Master and many more. Advanced cloud based user managed home automation and security alarm service with Alarm.com by Central Security. Central Security Can Reprogram Your Current Security Alarm System! If you already have a security alarm system in home or business, Central Security would be able to reprogram your existing alarm system. Central Security has over 20 years experience with security alarm systems and specializes in reprogramming existing alarm systems with monitoring services offered. Central Security specializes in cloud based security system solutions for burglar alarm, fire alarm, access control and video surveillance.